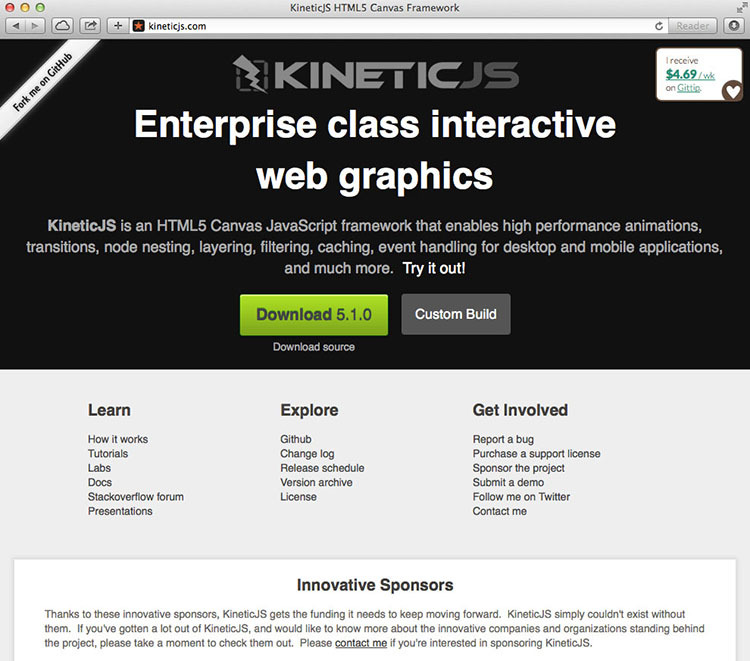 provide tools to create animations for game development. helped to find graphical objects for games. 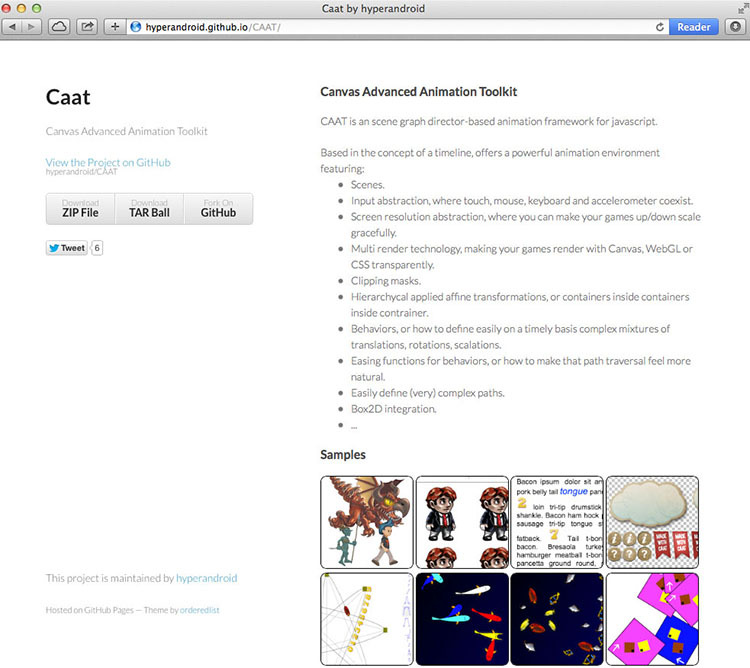 CAAT is a platform and works with CSS, WebGL and Canvas. In addition, CAAT is not only create awesome scene and actors but also has facilities to managing audio. 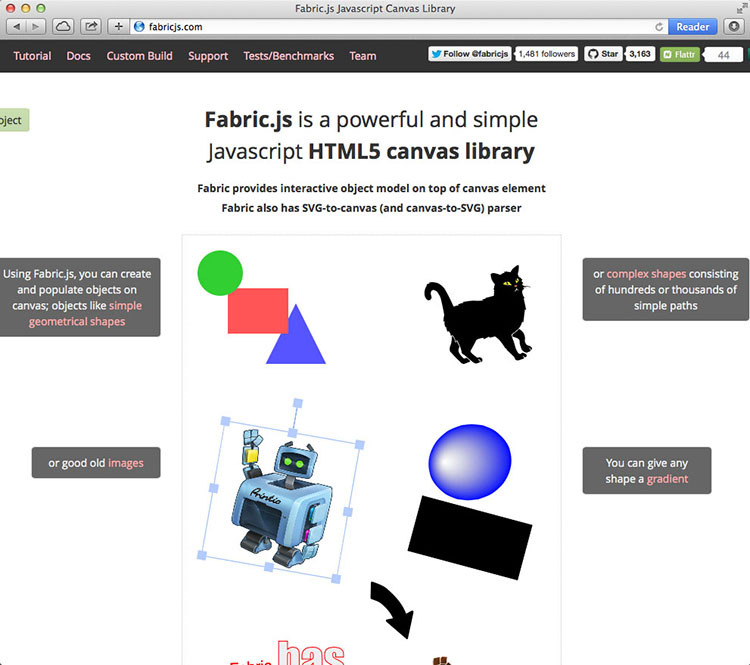 Fabric.js provides missing object model on canvas, as well as SVG parser. Also, it provides animation, geometrical shape, graphics. 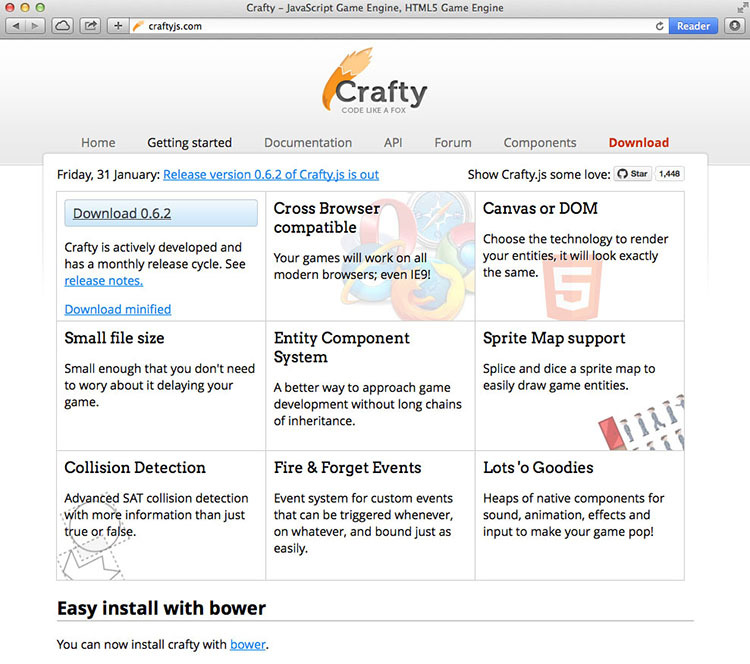 Crafty provides building of prototypical or full-featured 2D html5 games. Crafty uses syntax similar to jquery by having a selector engine for select entities by their components. 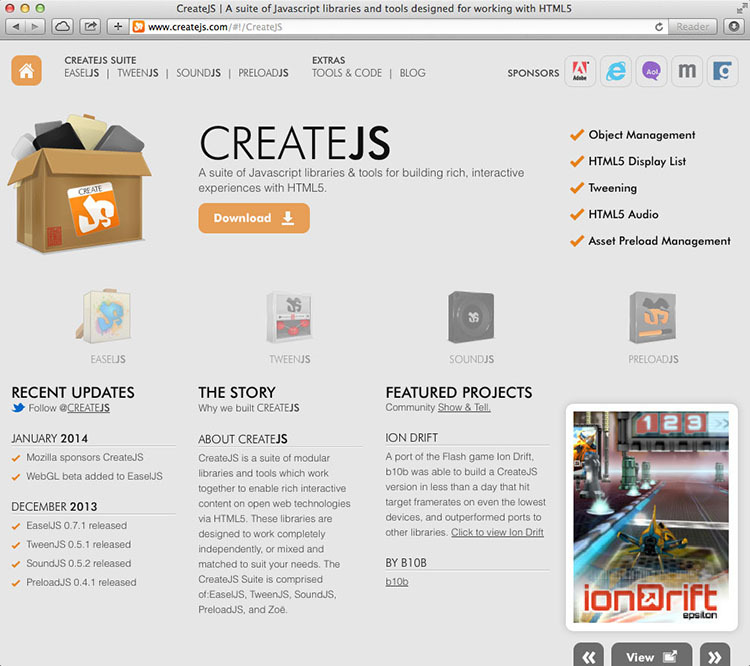 Create.js is comprehensive web editing interface for content management systems. 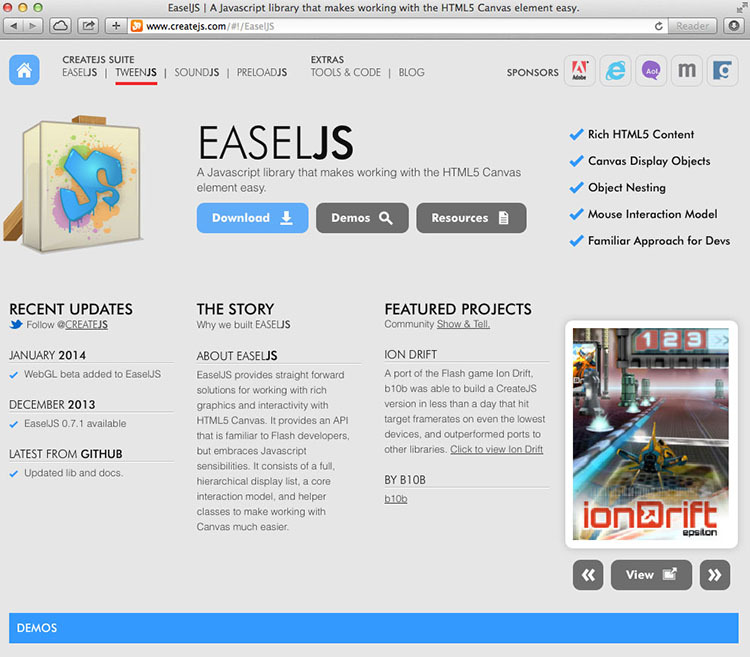 It provide modern full browser-based html5 environment for managing content. Easel.js provide easy work with canvas elements. 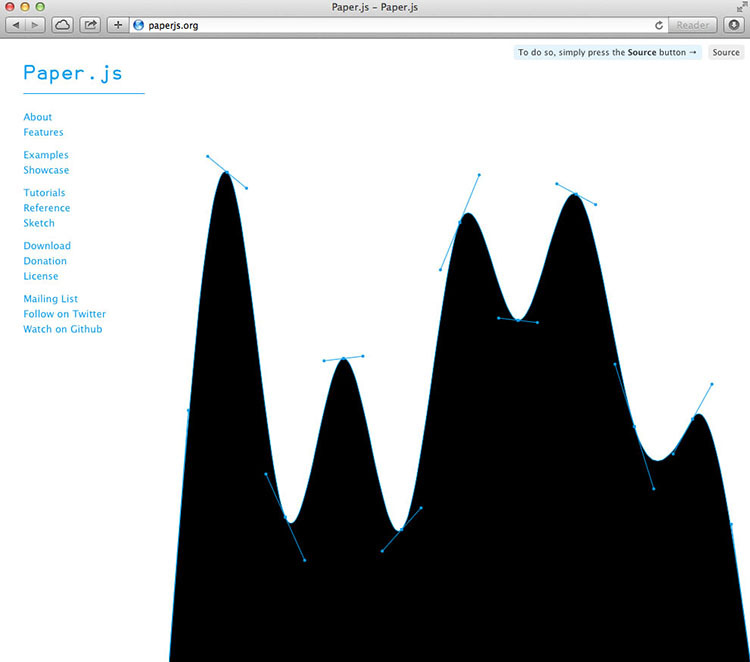 Also it provides shape based mouse interaction on elements. 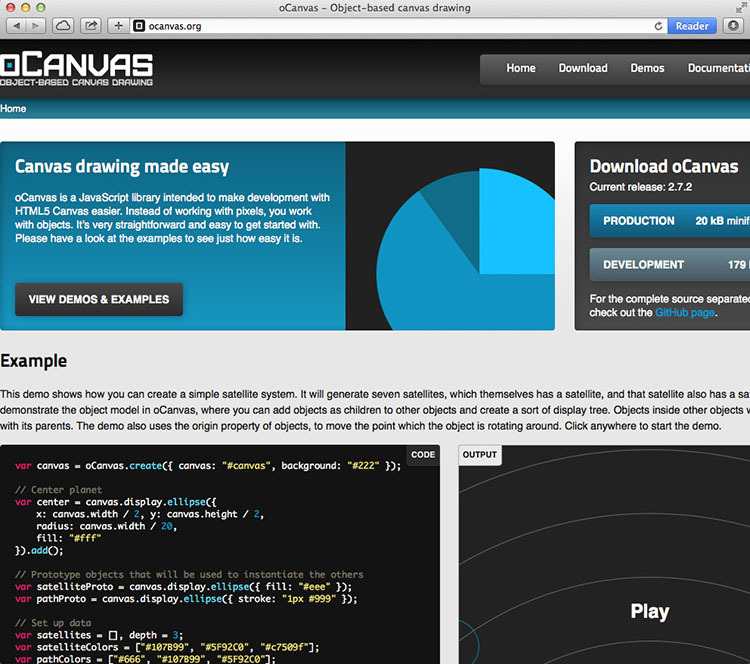 OCanvas provide to work with object instead of pixels for html5 canvas elements. 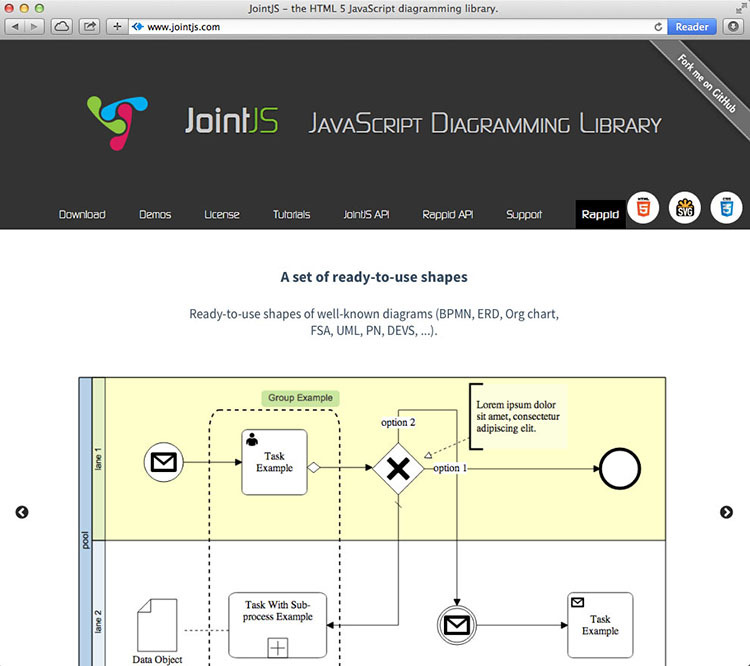 Paper.js is vector graphics scripting framework that runs on top of html5 canvas. It offers to clean DOM and a lot of awesome functionality vector graphics, animations and images. 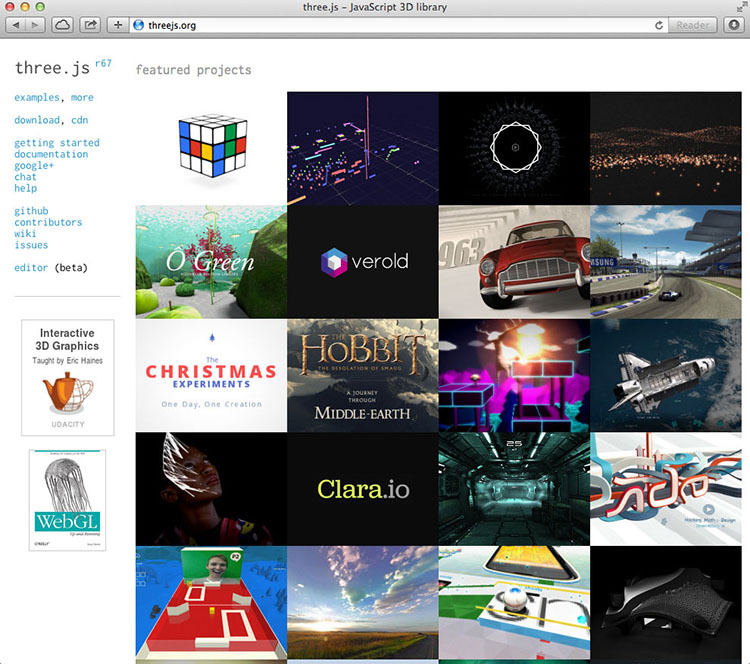 Three.js is library that makes WebGL, 3D in the browser. it provides powerful 3D animations. 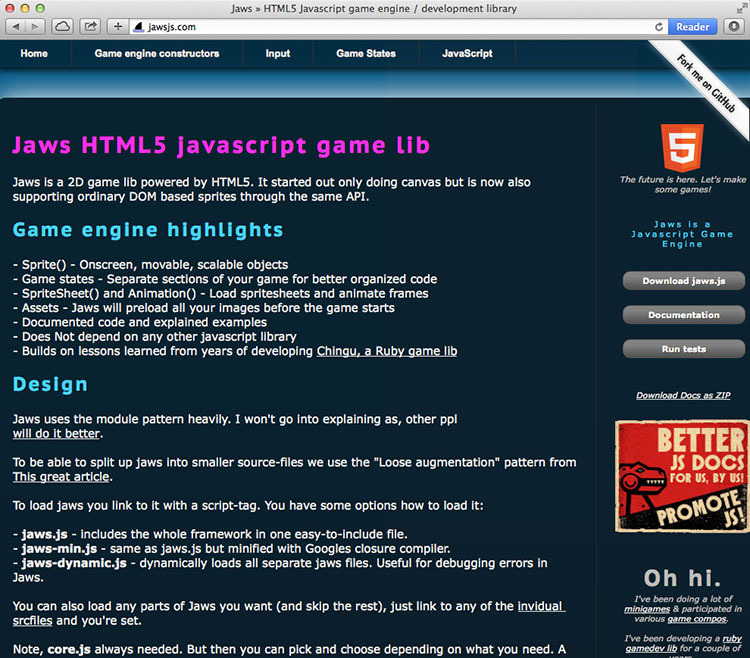 Jaws is 2D game development framework. 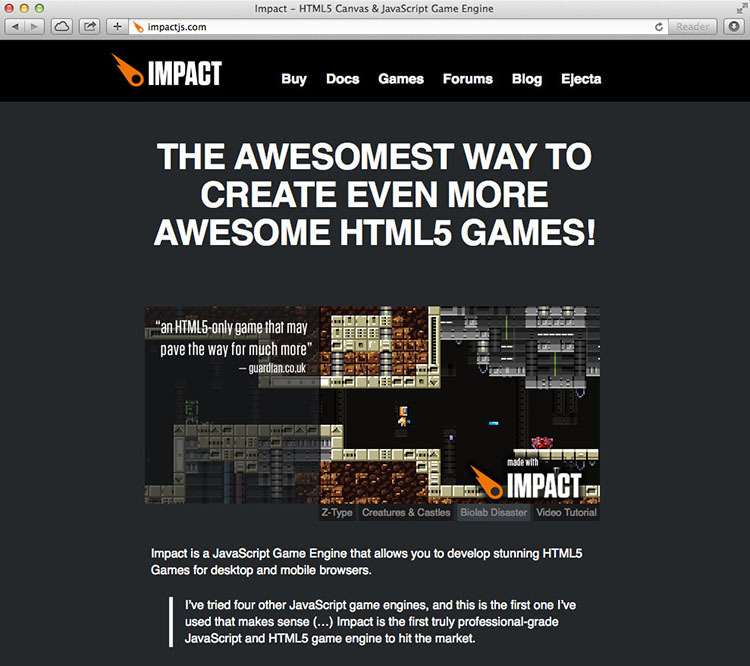 It provide the easiest way to make assets(images, musics, json data) in web-games. 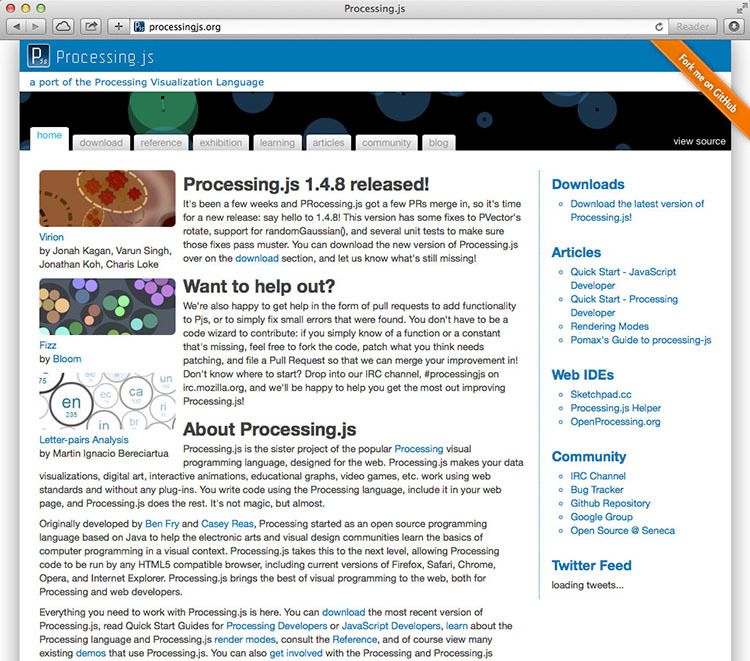 It supports on all html5 capable browsers and include iPhone, iPod Touch and iPhone . 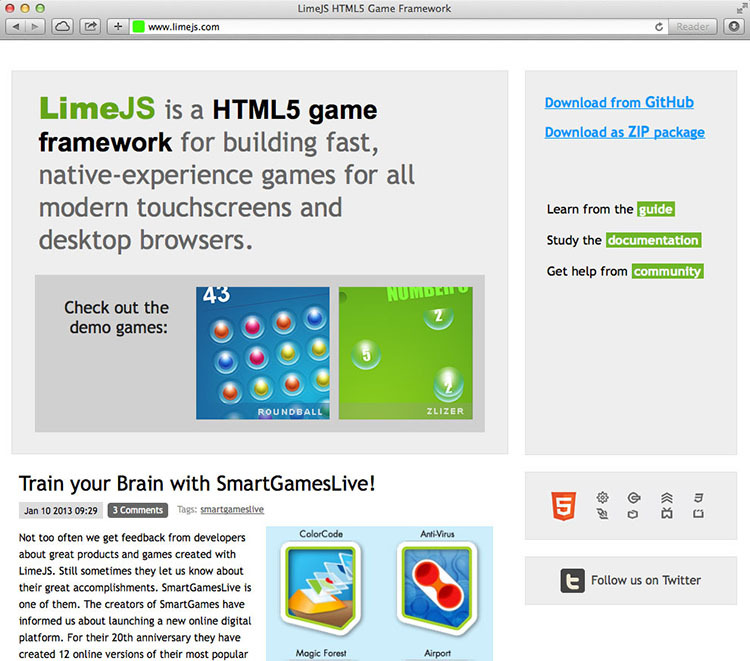 Lime.js offers support for all mobile platforms. It provide support videos and better audio. 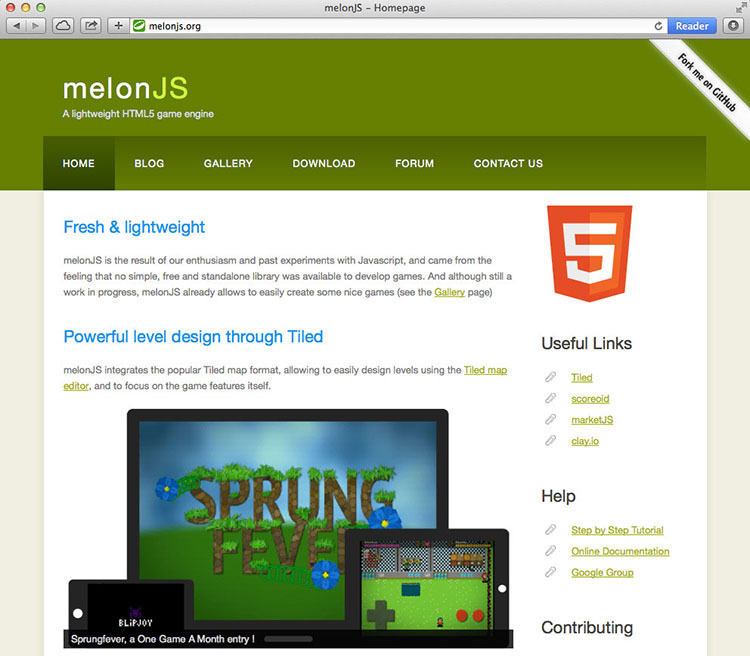 Melon.js is a fresh-lightweight 2D sprite-based engine. It supports multiple audio channel support. It integrates tiled map format.